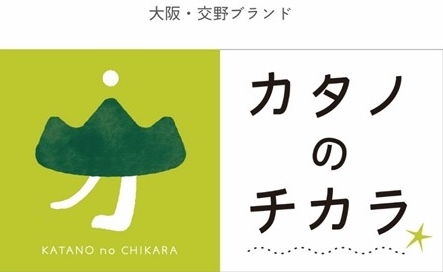 There are two lines in Katano City; JR Line and Keihan Line. 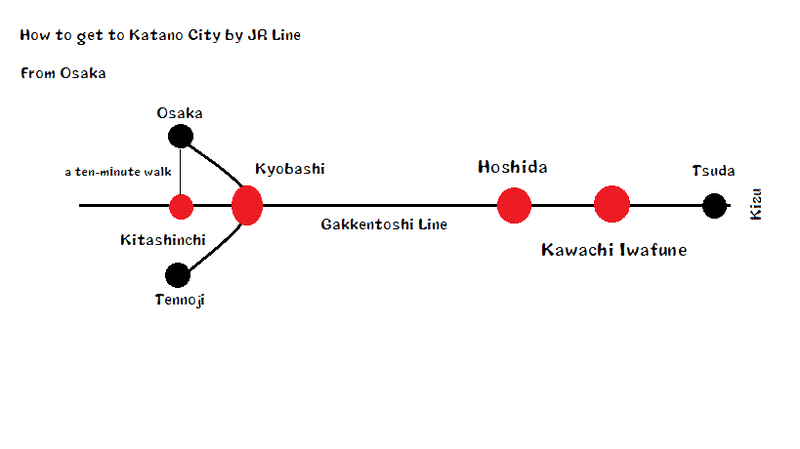 There are three stations of the JR Gakken Toshi Line in and near Katano City; Hoshida, Kawachi Iwafune, and Tsuda. The Keihan Katano Line runs between Hirakata and Kisaichi. 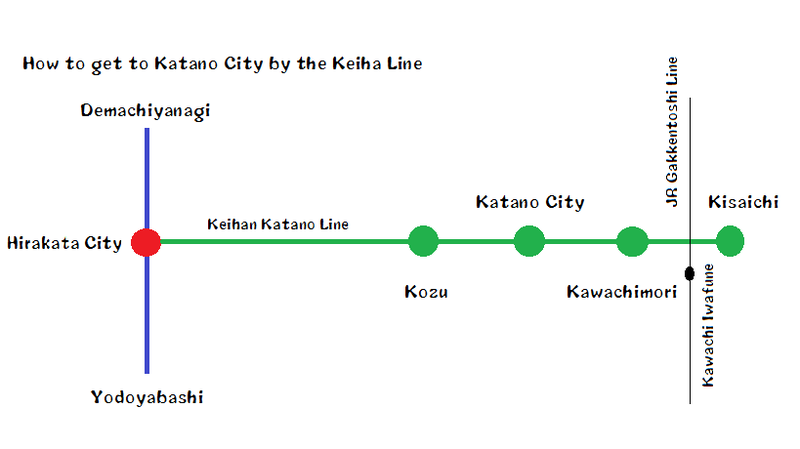 There are four stations of the Keihan Katano Line in Katano City; Kozu, Katanoshi, Kawachi Mori, Kisaichi.